After Successful “Simour Mahotsav” by Him Friends.. Nahan residents are ready to acknowledge 2nd year organization of “Sirmour Lok Utsav” by Dynamic Yuva Mandal Nahan. Sirmour Lok Utsav will start on 10th Oct’11 and will go upto 16th Oct’11 at Chaughan Ground Nahan. There will be no entry fee for the fair. Organisers will be conducting auditions for following categories at PWD Rest House Nahan on 2nd Oct’11 from 9am to 6pm. Interest candidates are requested to visit PWD rest house. In addition there will be a Volleyball Tournament. Entry fee for VolleyBall Team is Rs 100. Last date to register your team is 08th Octber’2011. Winning team will be awarded with Rs 5100 along with a Trophy and 1st runner-up will get prize of Rs 2100 with Trophy. There is something about the mystery of hills and the forests where every corner has a story to tell. I was brought up in the small hill town of ‘Nahan’ at the edge of Shivaliks, not very far from Delhi. Surrounded by lush green hill slopes I have memories of plenty of afternoons spent playing truant from school trying to climb mango trees that abounded in the forest surrounding the town, or doing target shooting at temptingly hanging fruit with stony missiles and return home with bag full of raw mangoes with added anxiety to keep them hidden from prying eyes. The legend has it that there are 9 Lakh mango trees in the forest surrounding Nahan that have apparently sprung wild. Though this may or may not be true at a point of time, even now there are more than enough of these souvenirs. As a child I often wondered as to who might have planted them. The answer was learnt at the knee of my grandmother in the form of a story that is part of the folklore of Nahan town. It is said that sometime long long ago there was a holy man living in the temple of the deity called ‘Kalisthan’ at Nahan. He used to meditate the whole day and his disciples used to go about town to get alms for the ashram. The holy man was very fond of the mango pickle and therefore disciples used to regularly ask for mango pickle from the ladies of the town. One day a harassed old lady around town asked one of the disciple, that if their teacher was so fond of the pickle, why did he not grow his own tree and ask his good for nothing disciples to make pickle for him. The disciple narrated the incident to the teacher, who in turn vowed to eat pickle only from his own tree. It is set that he sat about with his ‘kamandal’ and sprinkled holy water in the whole of the forest around town and wherever a droplet fell a mango tree sprung up. I am sure these gave the holy man and the townsfolk a lot of joy in those days as they gave me in my truant school days. The Other Home invites you to spend a weekend in this magical mango garden around four hours of Delhi. The other attractions of the area are the remains of dinosaurs in Asia’s only Dinosaur zoo at ‘Suketi’, a historic ‘Gurudwara’ where Guru Govind Singh ji stayed for about 6 months at Nahan, a historical temple of Devi ‘Balasundari’ at ‘Trilokpur’, Himachal’s biggest lake, a lion safari and the legend of Lord Parsuram at ‘Renuka along with a war memorial dedicated to Anglo-gurkha wars at ‘Jetak’. The joy of the place essentially is in long pleasant forest walks, mild weather, pleasant/gentle folks and legends of the yore. Kite flying has been traditionally associated with raksha bandhan in Nahan. 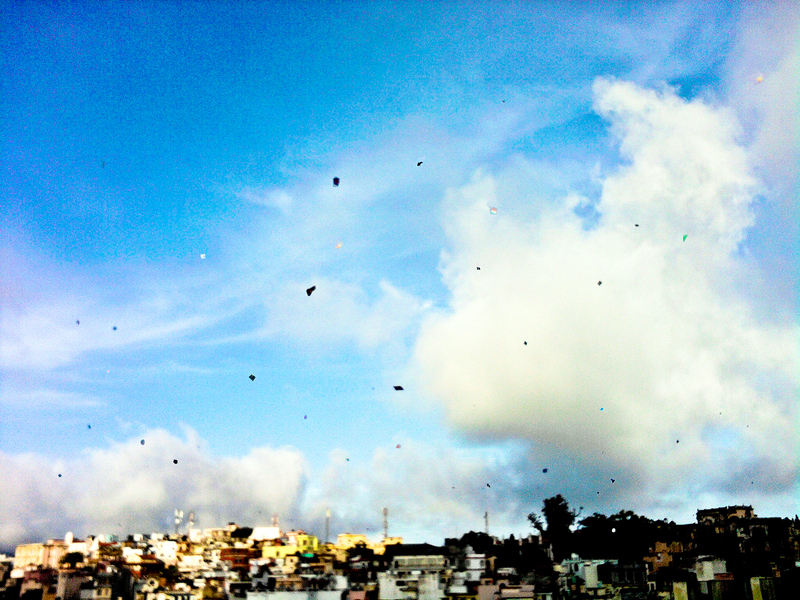 It’s the day when families get together on roof tops and enjoy kite flying, usually with music pouring from all over. The erstwhile ruler Shamsher Parkash started the kite flying on this festival. Shamsher Parkash ruled for 42 years from 1856 to 1898, the time when kite flying was introduced in the town in nineteenth century. Residents of Nahan start preparing for Kite festival around a month before Rakshabandhan day. Mainly because kids have summer vacations from schools and have plenty of time to spend on it.Earlier people use to prepare twine or manjha for kite flying manually. It was done by applying a paste of wheat flour, finely powdered glass, color and other secret ingredients (everyone used to have his own) over a special thread and letting it dry. But the practise subsided gradually as it was time consuming(usually took whole day) and much better readymade options were available in market. The kite flying is a leisure pursuit for the residents, although the craze of kite flying is coming down significantly; why not, kids now have internet, TV and computer games. Add to it, the increasing competition and pressure to do well in studies. but despite this it has not been extinct completely. The local folklore has it that the Maharaja of Sirmaur used to give rewards to people who cut the twine of the Maharaja’s kite and to one who caught it. The twine of the erstwhile ruler’s kite was polished by artisan Late Amardaraj with special methods. The town was once famous for kite flying in north India. Few years back people used too gather in groups at Choggan ground to fly kites and various competetions were held. Main attaractions used to be kite fights, flying the biggest kite and grabbing most number of kites cut in kite fights. Winner of the kite fights(one cutting most kites) was entitled as ‘banoo’ of the town. In the evening it is an amazing spectale with colorful kites of all shapes and sizes flying against the backdrop of an azure skyline. Another day of the year when this beautiful town comes alive and everyone joins in the grand celebration. इस शिव मंदिर का इतिहास लंकापति रावण के साथ जोड़ा जाता है ! कहा जाता है की रावण ने अमरता प्राप्त करने के लिए घोर तपस्या की थी ! तपस्या से प्रसन्न होकर शिव शंकर भगवान् ने उन्हें वरदान दिया की यदि वो एक दिन में पांच पौडियां निर्मित कर देगा तो उसे अमरता मिल जाएगी ! रावण ने पहली पौड़ी हरिद्वार में हर की पौड़ी, दूसरी पौड़ी यहाँ पौड़ीवाला में, तीसरी पौड़ी चुड़ेश्वर महादेव व् चौथी पौड़ी किन्नर कैलाश में बनाई, इसके बाद रावण को नींद आ गयी ! जब वह जगा तो अगली सुबह हो गयी थी ! मान्यता है की पौड़ीवाला स्थित इस शिवलिंग में साक्षात् शिव शंकर भगवान् विधमान हैं और यहाँ आने वाले हर श्रद्धालु की हर मनोकामना पूर्ण करते हैं ! एक अन्य कथा के अनुसार विष्णु भगवान् की तपस्या करने के फलस्वरूप मृकंडू ऋषि को उन्होंने पुत्र का वरदान देते हुए कहा की इसकी आयु केवल 12 वर्ष की होगी! अत: इस वरदान के फलस्वरूप मारकंडे ऋषि का जन्म हुआ जिन्होंने अमरता प्राप्त करने की लिए भगवान् शिव की तपस्या में निरंतर महामृत्युन्ज्य मन्त्र का जाप किया ! 12 वर्ष पुरे होने पर जब यमराज उन्हें लेने आये तो उन्होंने बोहलियों स्थित शिवलिंग को बाँहों में भर लिया जिससे शिवजी वहाँ प्रकट हुए तथा शिवजी ने मारकंडेय ऋषि को अमरता दी तथा वहाँ से मारकंडे नदी का उद्गम हुआ ! इसके बाद शिवशंकर पौड़ीवाला में स्थित इस शिवलिंग में समां गए थे ! यहाँ मांगी गयी मनोकामना पूर्ण होती है जिसके फलस्वरूप वर्षभर यहाँ श्रधालुओं का ताँता लगा रहता है ! शिवरात्रि के दिन यहाँ पर विशेष आयोजन किया जाता है ! पौड़ीवाला नाहन से 6 की मी की दूरी पर नाहन चंडीगढ़ मार्ग पर स्थित है ! 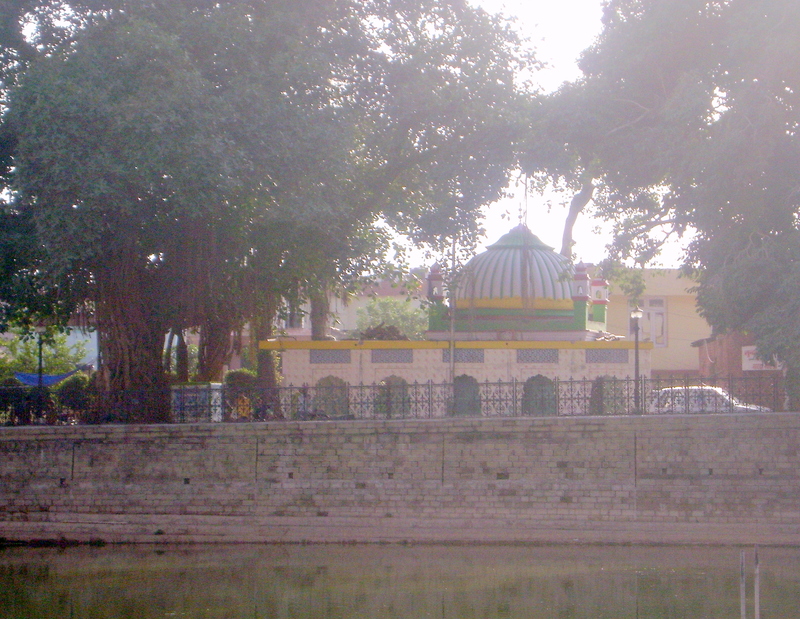 The Shrine of Lakhdata Peer is a heritage for Nahan town, A symbol of unity of people of all religions. It is also believed that Nahan was once cursed by a dancing girl which resulted in flood and total destruction. At that time a wise man of Maharaja suggested him to get two bricks and some mud from the turbut of Lakhdata Peer of Multan now in Pakistan. “It was around 250 years back when the bricks and mud from Multan were laid in Nahan near Pucca Tank later the dargah was made. Since then generation by generation my family is serving the lakho ke data Lakhdata”, says Bobby Khan who is the priest of the Dargah. It is a regular stop over of tourists coming to the town and the local residents. Every Thursday people visit Lakhdata Peer. He has some supernatural powers of arbitration people visit him in the hope their wishes will be fulfilled His blessings and magical powers are well known among people. According to local residents of Nahan Lakhdata Peer has always helped us whenever in dilemma. When you come to this place you feel tranquil and blessed that’s why whatever the weather is we never forget to come to this place. 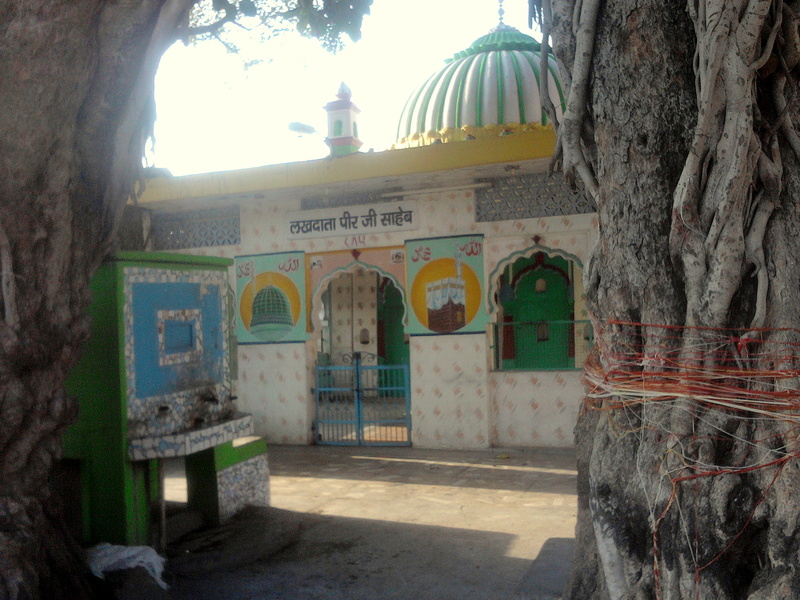 “Then the Maharani of Nahan town went to Lakhdata Peer for help and said she will offer churi that is baked roti crushed with jaggery and construct the place into a dargah when she returned back to her palace both the prince were fighting fit and she thanked the Peer and ordered to construct the turbat i.e. Shrine of the peer and it took just two days to build. Since then people not only from town but nearby places come to Lakhdata Peer” tells, Bobby Khan. People come with their problems and are blessed by the peer “If you have some skin problem salt is given as niaj, that is offering made to god, if you have any problem in limbs baked and crushed roti with gur or jaggery is offered, broom and oil are niaj for any problem that you have, couples without a child offer gur and red cloth unmarried people tie holy thread near the pole of the dargah and they are blessed with spouse even the barren lands become fertile by the blessing of the Peer if chinj, local wrestling is performed in that land.” said Gafur father of Bobby Khan. “Lakhdata Peer was a holy man from Multan who is also called by various names in different places. In Punjab he is called Lala Wale Peer, in Pakistan Sakhi Sarver. He was very close to Allah and is believed to have supernatural powers to bless people who come for help” he further added. Nahan is situated on an isolated ridge in the Shiwalik hills, overlooking green fields. Nahan is a well laid-out picturesque town, known for its cleanliness and dust free streets. Saint and princes are linked with the origin of Nahan. The city was founded as a capital by Raja Karan Prakash in 1621. Another version recalls a saint who lived with a companionable Nahar on the site where the Nahan palace now stands “Nahar” means a Lion and probably the town takes its name from this saint. 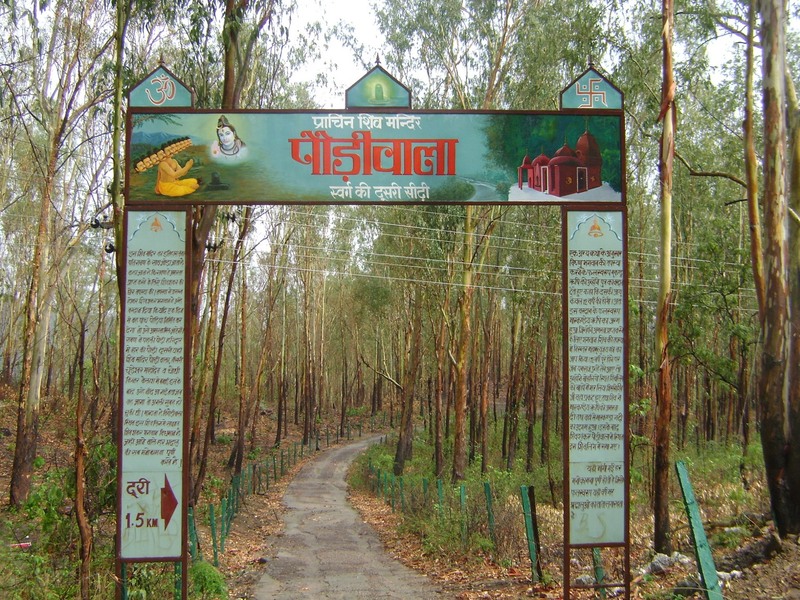 Nahan situated at an altitude of 932 meters, is a good base for visits to the surrounding areas viz. Renuka, Paonta Sahib, Trilokpur temple and the Suketi Fossil Park. It has a pleasant climate throughout the year and is watered by man made lake and decorated with temples and gardens. It is the headquarter of Sirmaur district. here gently level walks; Villa Round, Military Round and Hospital Round are evocative of the city’s past. The hub of Nahan’s activities is Chaugan, Bikram Bagh and Khadar-Ka-Bagh. Gift shops, Rosin & Turpine factory and local temples are among the other major attractions. Nahan celebrates Bawan Dwadshi towards the end of the monsoon when fifty two idols of local gods are carried in procession to Jagannath temple where they are floated ceremoniously in a pool and are restored at midnight to their niches. In the heart of Nahan town is Rani Tal, where a large temple and a tank from the days of ex-rulers of Sirmaur State can be seen. Ducks and Cranes are seen playing in the Ranital Tank, and Ranital Garden further adds to the charm. Clothing: Cotton clothes in Summer and light woolens in winter. Language: Hindi, Punjabi, English are understood and spoken by the people engaged in tourism trade. Rail: The nearest railway stations are Ambala, Chandigarh and Kalka which are connected by a regular bus service. There are regular bus services linking it to the other towns like Manali, Delhi and Haridwar.